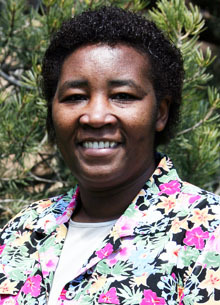 Lydiah Nganga used her Garland Fellowship to fund facilitated her research work in global education and social justice. Given that the world is now a web of complex interconnections, educators ought to rethink social studies education. To prepare for the complexities inherent in a globalized period, an education that equips learners with skills, knowledge and dispositions essential for global citizenship is essential. Thus, Nganga’ s research and teaching emphasizes preparing learners for effective functioning in a world that is interconnected economically, socially, culturally and, to a large extent, politically. Nganga believes that global education helps learners to gain a different consciousness that helps them to address issues of ethnocentric barriers. With the Fellowship, she authored the following works. a.) Global and cultural education prepares pre-service teachers to work in rural public schools. Teaching for social change in the 21st century. Journal of Education Research, 3 (1/2), 149-160; b.) Global and Cultural Education Prepares Preservice Teachers to Work in Rural Public Schools: Teaching for Social Change in the 21st Century; Progress in Education, (25). pp. 259-270 ; c.) Teaching for Social Change in the 21st. Century: Global Education Prepares Educators to Work in Rural Schools, In Christine M.E. Frisiras (Ed. ), Rural Education in the 21st Century. Nganga also presented her work in two venues namely; the National Council for the Social Studies (NCSS) and the Association of Early Childhood Education International (ACEI). Nganga feels that the Mary Garland Fellowship gave her an opportunity to expand her research in global education and social justice.